Terry Jones…Doctor Terry Jones, who spouts Robert Spencer’s language when describing Muslims and Islam, decided to burn copies of the Quran and suddenly he was propelled into great fame across the ranks of Muzlem-fearing Americans and into Europe. Here’s the best standard for the right to freedom of expression! let us ALL burn the Quran just to show how much we love our great “freedoms”…freedoms to bash Muslims and Islam, that is; similar “freedom” is hardly ever exercised against the more powerful minorities like Jews or Blacks. Many Muslims decided to help Terry Jones along in his climb to fame, by making great shows of indignation and protest. Internationally, Muslim organizations have grasped this banner of condemnation and helped Jones even higher along his path of fame and no doubt, fortune. Instead of being used in such a blatant manner, by opportunists like Lars Vilks (dogs made to look like Arabs and called “Mohammed“) or, Flemming Rose (“Mohammed” cartoons) or, Terry Jones (burning the Quran), Muslims could put an end to these self-glorification moves by bigots, by not reacting to them at all. Quite aside from the hypocrisy of pretending to have “Freedom” to express oneself, which really does NOT exist in Europe, Muslims could have rejected the bait by saying in response to the cartoons and the roundabout dogs, that none of these look like the prophet Mohammed and the depiction could just as readily be the authors’ mothers. Instead of having a world-class row with riots, burning of property and some brainless, wild-eyed Muslims running about, looking for the authors’ heads, the whole affair would have died a natural and quick death. Now Terry Jones is threatening to burn copies of the Quran and again, righteous Muslims who do not appear to have their brains fully engaged around this subject, are jumping up and down and giving the Muslim-haters a grandstand seat to a show that would hardly have raised an eyebrow, were it not for Muslims’ raised ire. And to what end? People across the US, have been mailing him more copies of the Quran in order to help raise a bigger fire as Muslims continue to gnash their teeth in a misdirected rage. It is a compilation of the word of God for Muslims all over the world. Traditionally, many Muslims learn the Quran by heart before they are in their teens. Historically, the idea was to commit the exact Quran to heart, so that if someone were to destroy every copy, it could still be faithfully reproduced. The word of God is NOT a lot of ink on papers bound together to look like a book, it is simply the word of God, unfettered by a corporeal existence…the Quran would still exist if it were not in physical form. The book Quran is simply a representation of the word of God, I doubt if God has any preference whether the Quran is put into print, in digital form or simply recited by people as needed. Yes, it certainly helps to have the Quran in printed form because it can be easily handed to someone so they may study it (or burn it? ), but let us not confuse the actual word of God with something that represents the word of God. So if someone were to burn a copy of the Quran, would that destroy the faith? certainly not! 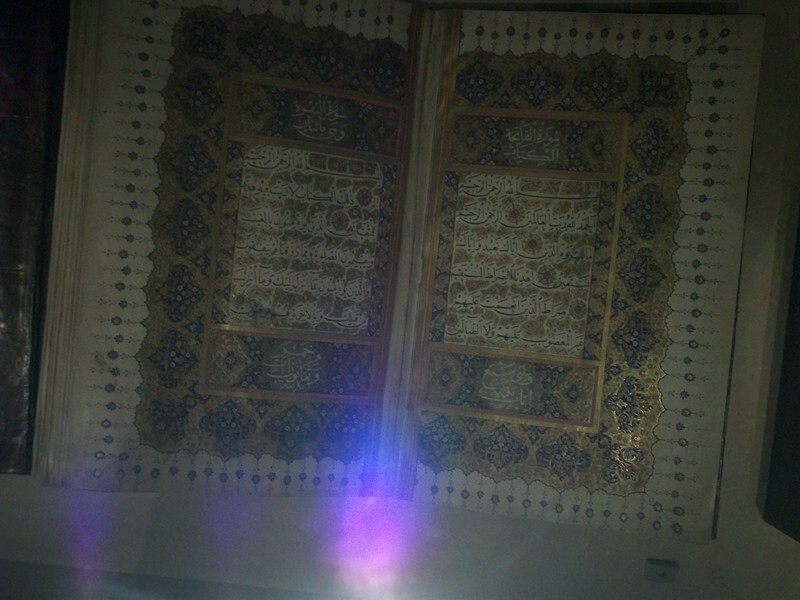 If someone were to desecrate a copy of the Quran, would that hurt Islam? Certainly not! Muslims could take the position that the deliberate burning of copies of the Quran are hurtful and bigoted, but those acts do nothing to diminish the faith and while they condemn the action, the burners will not have the satisfaction of seeing us jump up and down and thinking of acts of vengeance in far-off places. Let it go, unless you wish to help the bigots feel they have yet another victory and then try to think of other ways to aggravate the aggravatable (apologies for the non-word) .